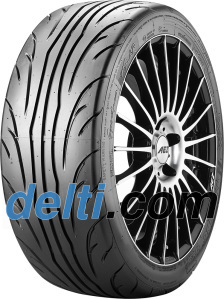 For a summer tyre, these are great in the wet, adimitadly there's still plenty of tread left so this could be part of this. A lot of people said these were no good in the wet, that's rubbish. Damp or wet roads these still have better levels of grip than a normal road tyre, they just don't handle standing water very well (As would be expected this this type of tyre). As long as you drive to the conditions you won't have any issues with rain. 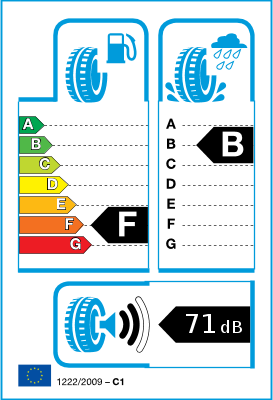 I've even had 3 days in the snow with these...lets just make it clear these are NOT snow tyres but they done suprisingly well. The only thing I noticed is that you have to warm them up, when cold they seem a bit loose. After a few minutes driving they get to decent levels of grip but you need to drive a bit harder than normal road conditions to get them to full potential. It would have been nice if they were still available in this size with the softer compound. They are on the latest MSA list 1B though so don't get caught out - some of the smaller events like the autosolos won't allow you to run with them. The side walls are stiff enough to give some sharp turn in but you trade that off with road noise and a stiffer ride but again that is to be expected. All in all these are great tyres for the price.